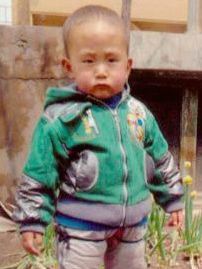 Ryan was born in September 2010 and abandoned outside a hospital when he was about 12 months old. Shortly after coming into orphanage care, he had surgery on his back for a meningocele and also had a shunt placed to decrease the pressure in his head caused by hydrocephalus. The procedures were successful and he has recovered well. Ryan has good bowel and bladder control. At the time of his report he was living with a foster family and was said to enjoy listening to music, playing with toys and playing outside. It has been reported that Ryan walks, runs and climbs stairs well. 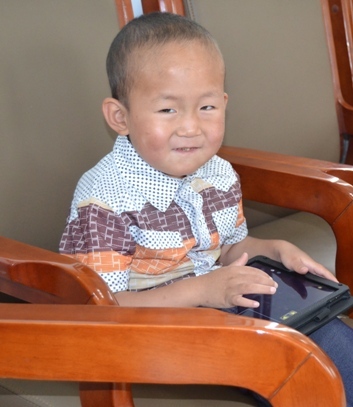 Agency staff visited Ryan in his orphanage in late June 2015 and were taken in by his shy smile. He enjoyed playing with our I-Pad. Ryan demonstrated his excellent walking and running, and sang a song. Ryan has a good appetite and doesn’t avoid any foods. His motor and language development is a little behind his peers but he can name common things and animals. He is an introverted boy who isn’t talkative and when he’s sad being held by his foster mother makes him happy again. He enjoys music and his favorite toys are cars. He is a healthy boy.